Brisbane Family Mediation Centre (BFMC) is a Specialist Family Mediation Firm based in the inner Brisbane suburb of Albion. We provide tailored mediation packages for families experiencing divorce and separation. 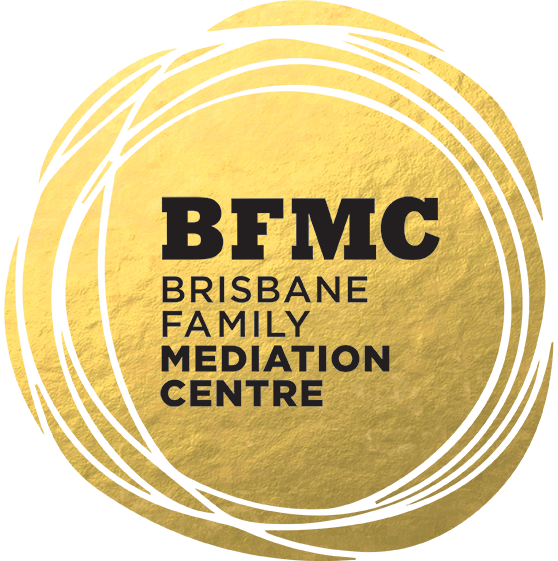 BFMC is a division of Brisbane Family Law Centre, a multidisciplinary legal practice offering a holistic service to clients experiencing divorce and separation. Brisbane Family Mediation Centre was established in 2014 to further develop the service offering of the Brisbane Family Law Centre. Our focus remains on providing legal solutions for separating families that will keep them outside of the Family Court process- minimising the financial and emotional costs of divorce. At BFMC we offer tailored mediation packages at a fixed price. Our experienced team of Family Mediators are able to assist you and your spouse to negotiate agreements on the legal issues arising on the breakdown of a marriage. This will generally include parenting and financial arrangements. Our mediation team are able to offer Family Dispute Resolution and where necessary, issue s60(I) certificates at the conclusion of a mediation process. BFMC is also able to offer families wishing to discuss arrangements for children the assistance of a Child Practitioner. This experienced Psychologist can meet with your family and your children and provide you with specialist feedback during your mediation process to assist you and your spouse to make decisions that will be in the best interests of your children. Mediation for families is a primary way of reaching agreement after separation on your legal issues. It is both a cost effective and time effective way of solving these difficult issues. We encourage you to make contact with our team today to discuss how mediation can assist your family. Are you looking for a resolution pathway that will cooperatively help you and your former spouse resolve your differences in a timely and cost-efficient manner? Our mediation package will provide your family with a structured and supported resolution pathway. Our fixed price mediation package will provide your family with a structured and supported resolution process for your legal issues on the breakdown of your relationship. Features – What is included? assist you to better understand the process. A structured process whereby mediation goals are discussed and your matter is progressed in a timely fashion towards the mediation date. A cooperative mediation day where you and your former spouse (and your legal representatives, if applicable) meet with the mediator to reach agreements on matters important to both of you. Benefits – Why is it useful to me? You and your partner can use mediation to discuss all matters that are important to each of you. This will give you the best opportunity to settle your differences and move forward with the next stage of your lives. By entering into mediation each party is committing to make a genuine effort to resolve the matter and to act in good faith. Reaching agreement at mediation can short-circuit your resolution pathway leading to more timely and cost-efficient outcomes for you and your family. Results – What do I have at the end? An experienced and knowledgeable mediator who will provide you with guidance and information in plain English, to assist you and your former spouse to reach mutually acceptable agreements. If the mediation results in an agreement you now only need to have legal representatives formalise this into the appropriate legal document to finalise your legal matter and enable you to move forward. If the mediation does not result in an agreement it will provide you with a greater level of clarity as to the issues to be resolved and the needsand values of your former spouse, which may help you to negotiate an agreement subsequent to the mediation. Contact us today, to find out more.